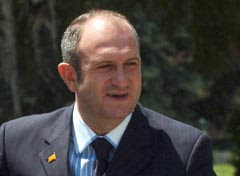 MP Vlado Buckovski, who was stripped from the deputy's immunity, has been subject of questioning carried out by the investigative judge Katica Jovanovska at the Skopje District Court over the past six hours. Buckovski, who came in the Court voluntarily upon receiving subpoena issued by the judge, is giving a statement relating the probe into alleged wrongdoings committed by him at the time he held the post of defense minister. "The emergency parliamentary session requested to be scheduled by the SDSM's deputy group after the latest developments, will not be held today", the parliament's spokesman Todor Pendarov said. According to him, speaker Ljubisha Georgievski rejected the request, after meeting the group's coordinator Jani Makraduli this afternoon. The parliamentary book of procedures prescribes for convoking emergency session within 10 days after the date of submission of the request. Hundreds of SDSM's followers have gathered outside the Skopje District Court's building today in addition to the leadership of the party to express their support to Buckovski.